Interesting news coming out of Cincinnati, Ohio last night, October 22, 2010. Multiple people from the Cincinnati area have submitted UFO video to numerous sites all over the internet showing 3 to 4 unidentified objects in the night sky. The UFO sightings occurred around 6:45 p.m. Central Time. We’ve been following similar UFO sightings in other U.S. cities this month, and it has become apparent that some of the explanations by media and officials are routine, pat answers. Whether they are meant to cover-up actual sightings is unclear. Officials state that the Manhattan UFO sighting was caused by balloons being released in the air. Our contention is that balloons usually drift away pretty quickly in the wind. The El Paso sighting was claimed to be caused by a night air show. So now you can compare, the following are screenshots of all similar UFO video obtained from recent sightings in Manhattan, El Paso and now Cincinnati as well as a picture of the air show pyrotechnics. Are these unidentified flying objects or merely night skydivers in an air show? It is kind of hard to believe that balloons in the sky of Manhattan and an air show in El Paso and Cincinnati could cause the exact same images in the sky. 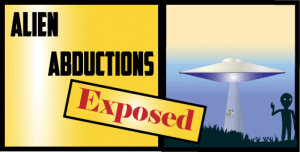 Further, when you view the actual air show video footage, it is very apparent that the skydivers do not look like the recent UFO sightings, and they certainly don’t hover in the sky for any length of time. At least compared to the other sightings. Anyway, we’ll let you decide – please post your opinion about what you think in comments section.